The following list includes all current assessing authorities and their contact details. Applicants must contact these assessing authorities to obtain valid skills assessment. What is the skills assessment requirement? 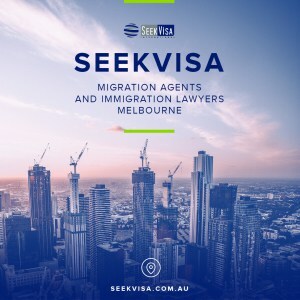 To apply for a Points Tested Skilled Migration visa, at time of invitation you must nominate an occupation that is on the relevant list of eligible skilled occupations. You must provide evidence that your skills have been assessed as suitable for your nominated occupation by the relevant assessing authority. You must provide from the relevant assessing authority a full (permanent) skills assessment which must be used for Points Tested Skilled Migration. The criterion by which an assessing authority undertakes different types of skills assessments is determined by the assessing authority in accordance with relevant professional standards. A skills assessment is only valid until the expiry date specified on the assessment, or when a period of three years from the date of issue has elapsed, whichever occurs first. 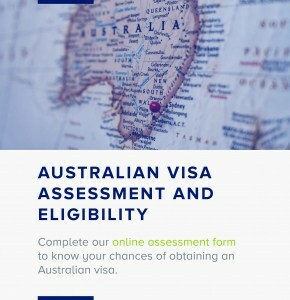 Some assessing authorities issue a provisional or subclass 485 skills assessment for recent graduates of Australian educational institutions applying for a subclass 485 visa. The primary difference is that a subclass 485 skills assessment does not require employment in the applicant’s occupation at the skilled level unlike a full or permanent skills assessment. A suitable provisional skills assessment issued for subclass 485 is not a suitable skills assessment for a Points Tested Skilled Migration visa. conditional specialist registration – this registration allows you to practise only in your particular speciality, with no further training or supervision requirements. For solicitors, evidence of admission to practice as a lawyer in the relevant Sate/Territory is a suitable skills assessment. The list of eligible skilled occupations provides a complete list of the relevant assessing authority for each occupation on the lists. It is your responsibility to contact the relevant assessing authority for your nominated occupation and obtain a skills assessment. Each assessing authority has its own assessment procedures, timeframes and charges. You are strongly advised to contact the relevant assessing authority to arrange your skills assessment well before you intend to submit your Expression of Interest in SkillSelect. In almost all cases, assessing bodies will require that you have post-secondary, such as university or trade, qualifications in order to receive a positive assessment of your skills. In a small number of occupations, substantial relevant work experience may be acceptable. Each assessing authority will be able to advise you what the qualification requirements are for the occupations they assess. Assessing authorities are responsible for undertaking skills assessments for migration purposes and are not employment agencies. The assessing authorities will not reply to requests for job placement. They cannot give advice on the likely success of your visa application. You can only have one nominated occupation when you lodge your Points Tested Skilled Migration application. Prior to submitting your Expression of Interest you may, however, apply to any number of skills assessing authorities until you obtain a suitable skills assessment. You are unable to change your nominated occupation once you are invited to apply for a Points Tested Skilled Migration visa in SkillSelect.